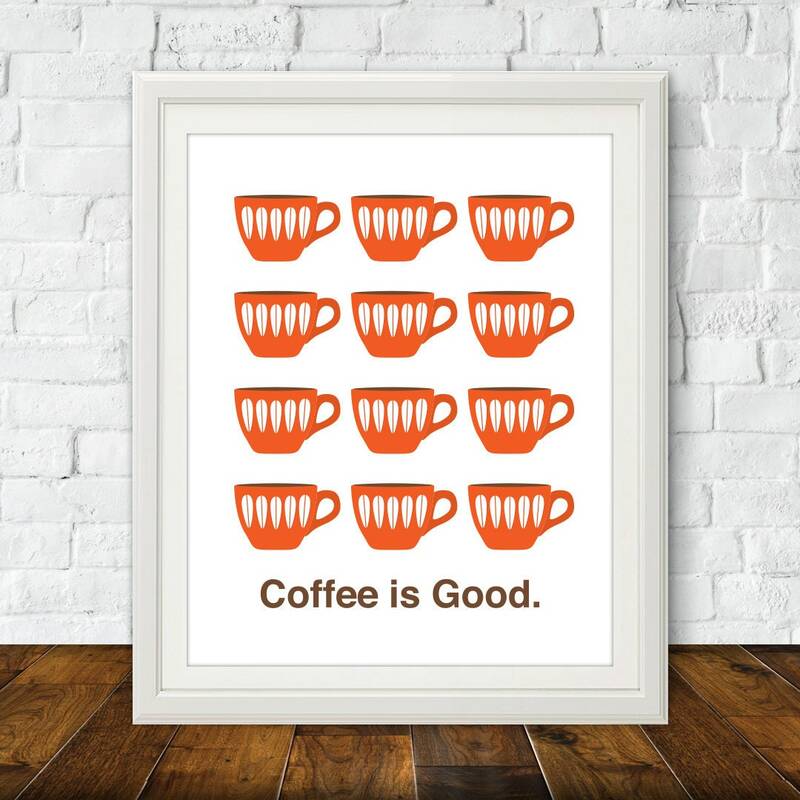 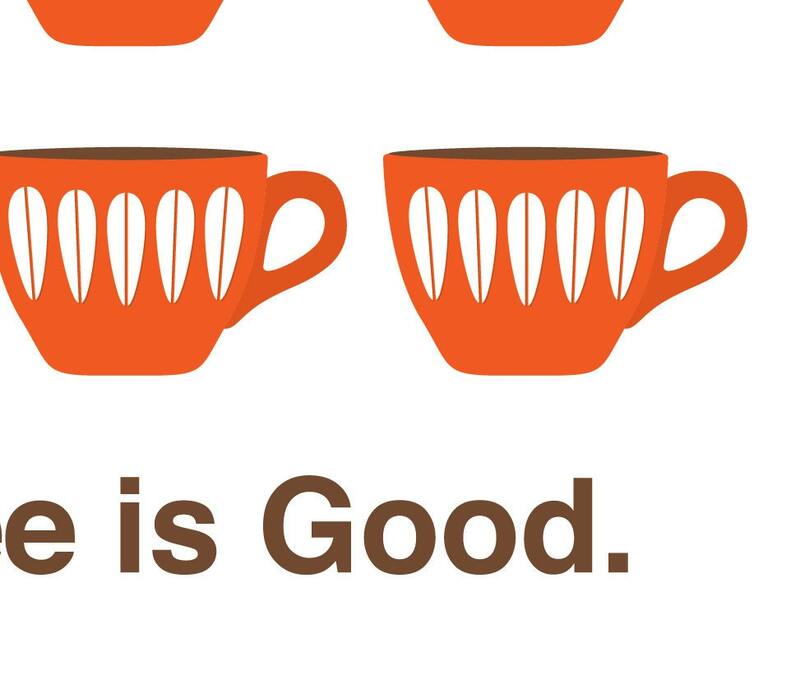 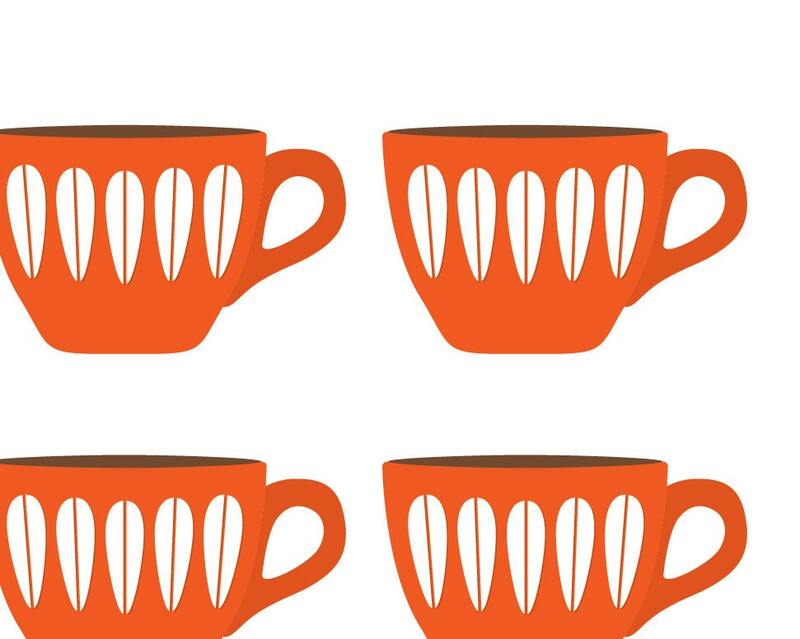 This original "Coffee is Good" kitchen art print is printed on thick matte paper stock. 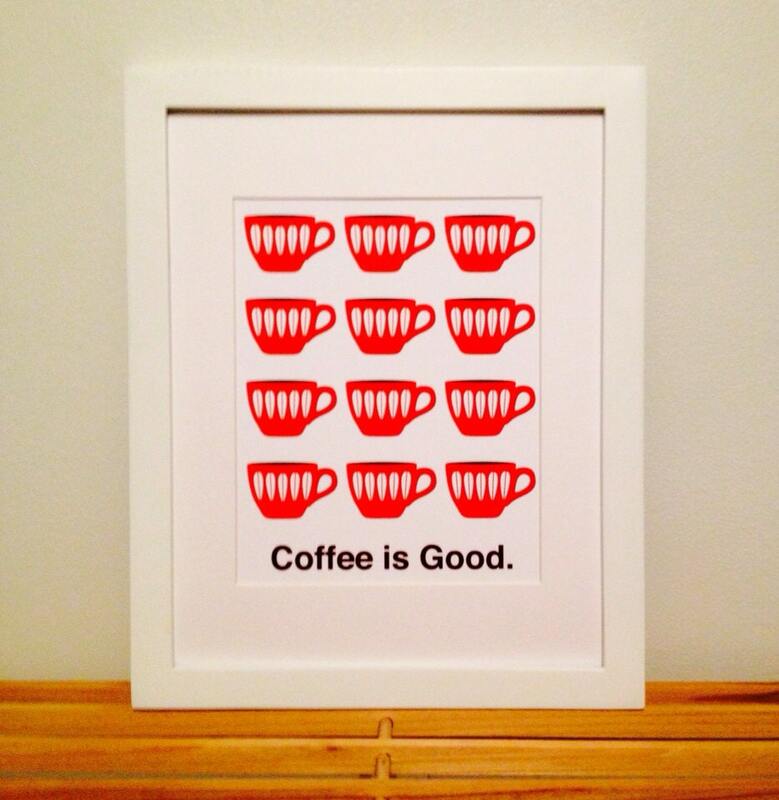 It will look great in any kitchen or coffee cafe. 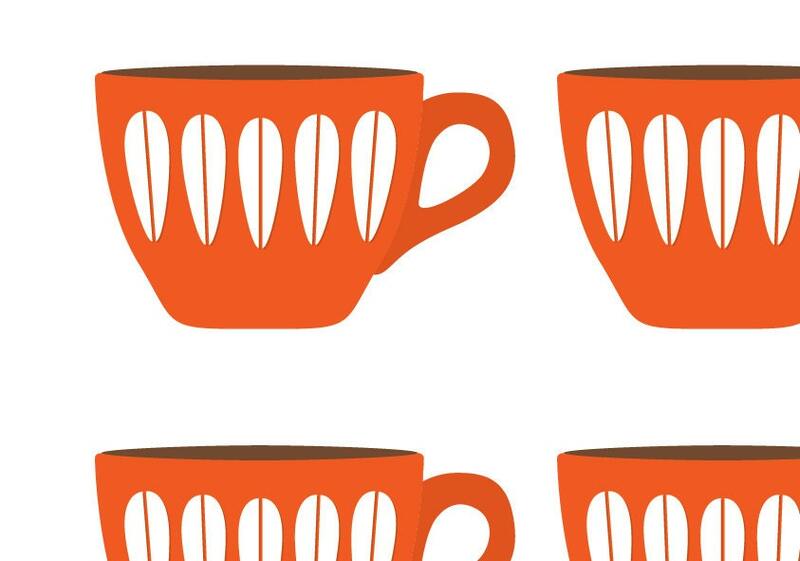 The print measures 11x14 and is a cathrineholm style. 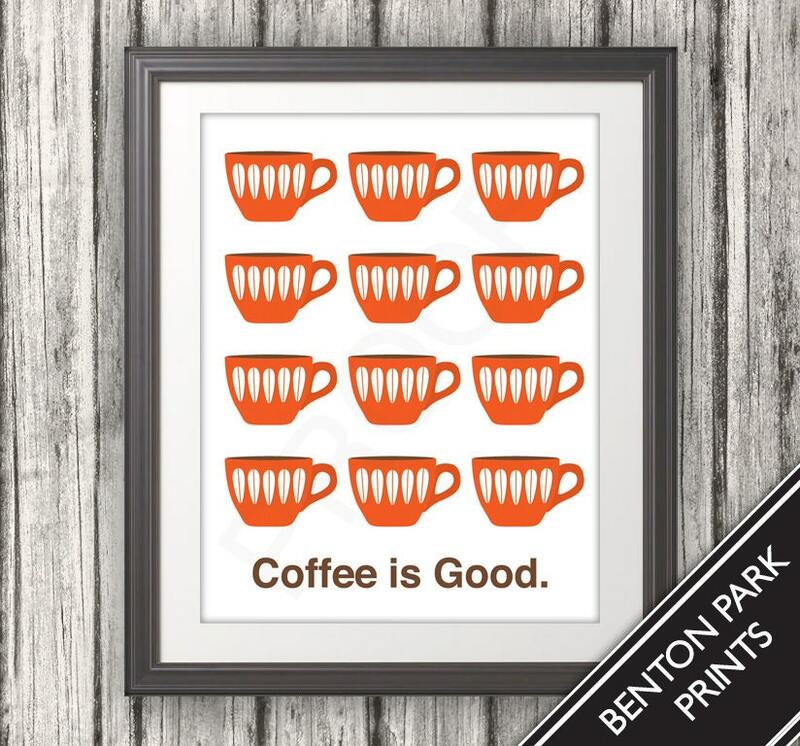 The frame does not come with the print and the word proof is removed when printed.